This includes drainage and grading as well as walkways, patios, and driveway. The exterior walls, trim, porches, decks, and steps are also inspected. 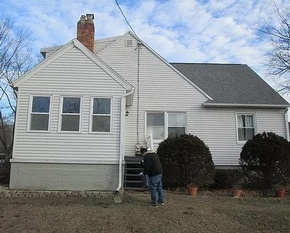 Certified Home Inspectors at Right Way Home Inspection Services LLC offers Exterior Inspections and other home inspection services to clients in Wynantskill, Troy, and across Albany, Saratoga, Rensselaer, Schenectady, Columbia, Washington counties.